In a milestone decision on June 28, 2018, the state’s Strategic Growth Council (SGC) awarded San Bernardino $20 million through the California Affordable Housing and Sustainable Communities (AHSC) program – a first for the Inland Empire. 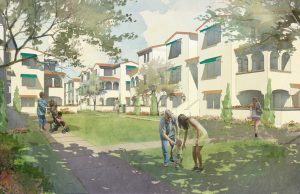 The win reflects a longstanding and heralded public-private partnership to revitalize one of San Bernardino’s core neighborhoods called Arrowhead Grove, formerly known as the Waterman Gardens Public Housing site. 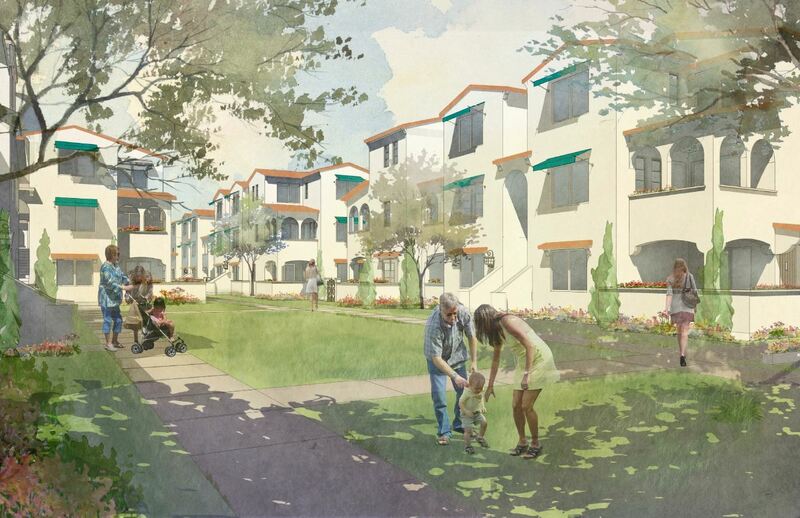 ABOUT NATIONAL COMMUNITY RENAISSANCE (NATIONAL CORE) National Community Renaissance, based in Rancho Cucamonga, Calif., is one of the nation’s largest nonprofit developers of affordable housing. CORE manages nearly 9,000 affordable, senior and market-rate units in California, Arkansas, Texas and Florida. Over its nearly two decade history, the Hope through Housing Foundation has provided more than 2 million hours of transformational social services such as financial literacy training, senior wellness, and preschool and afterschool programs. For more information on National CORE and Hope through Housing, please visit www.nationalcore.org. ABOUT CITY OF SAN BERNARDINO San Bernardino is a city rooted in rich history and cultural diversity. Located at the base of the San Bernardino Mountains, this city is positioned for world-class excellence made possible with access to nearby deserts, mountain communities and beaches. San Bernardino is also situated along one of the nation’s busiest transportation corridors and thrives as a logistics hub. 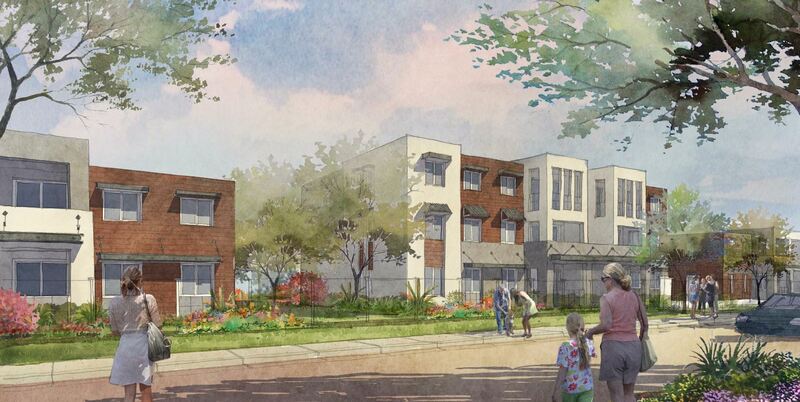 Currently under a major revitalization effort, the City of San Bernardino has endless possibilities for the future. For additional information about San Bernardino, visit www.SBCity.org, facebook.com/sbcitygov or twitter.com/sbcitygov. 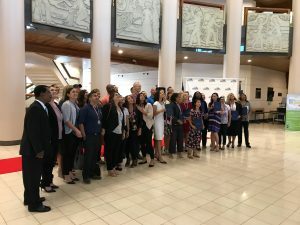 A blind dance and Zumba instructor, a Redlands police officer who created a CrossFit gym that helped improve fitness in his community, and a high school student who started a health movement in elementary school that has been expanded to the whole school district were among 56 Action Heroes honored today by the San Bernardino County Board of Supervisors. “We are proud to celebrate the efforts of our fellow neighbors, friends and coworkers who are meeting the challenge to stay active, whether they’ve started a walking group at work or run a 5K race for the first time,” said Board of Supervisors Chairman Robert Lovingood. 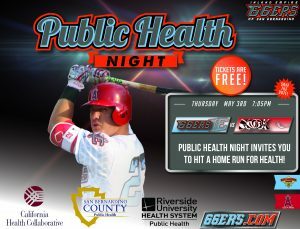 Vision2BActive is a campaign of the Countywide Vision to improve health and wellness in San Bernardino County by encouraging residents to increase their physical activity and connecting them to existing recreational programs, amenities and activities in their communities. 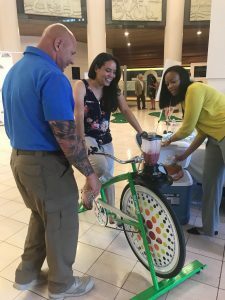 Last year, the Vision2BActive campaign asked the public to nominate Action Heroes throughout the county who have made an impact on community wellness by participating in physical activity or promoting physical fitness. To read the nomination of each of the 56 Action Heroes and their contributions to health and wellness, click here. Vision2BActive.com is an interactive resource that provides residents with information about physical activity events, fitness tips and a GIS map featuring places to be active in the county. The Countywide Vision was developed by the community in 2010-11 and adopted by the Board of Supervisors and the San Bernardino Council of Governments Board of Directors in June 2011 in order to create a roadmap for the future of San Bernardino County, which includes creating a healthy and prosperous future for all who live, work and play here. Vision2BActive is the second public campaign of the Countywide Vision Project following the successful Vision2Read literacy initiative that started in September 2015. 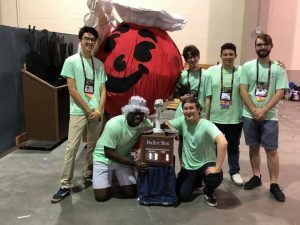 A group of Redlands High School seniors recently wrapped up a world-class eight-year run in the annual international Destination Imagination science, technology, engineering, arts and mathematics competition. The team finished in the top 10 in all eight of their trips to the Global Finals in Knoxville, Tenn., including four world championships. This year’s tournament included 1,400 teams from 38 U.S. states, six Canadian provinces and 19 countries, including Australia, China, Indonesia and Qatar. Next stop for Devin Guevara, Nate Linares, Brian McBride, Harrison McDonald, Ian McMahon and Selorm Quarshie? College. Destination Imagination is a nonprofit organization dedicated to teaching students the creative process through hands-on science, technology, engineering, arts and mathematics (STEAM) challenges. 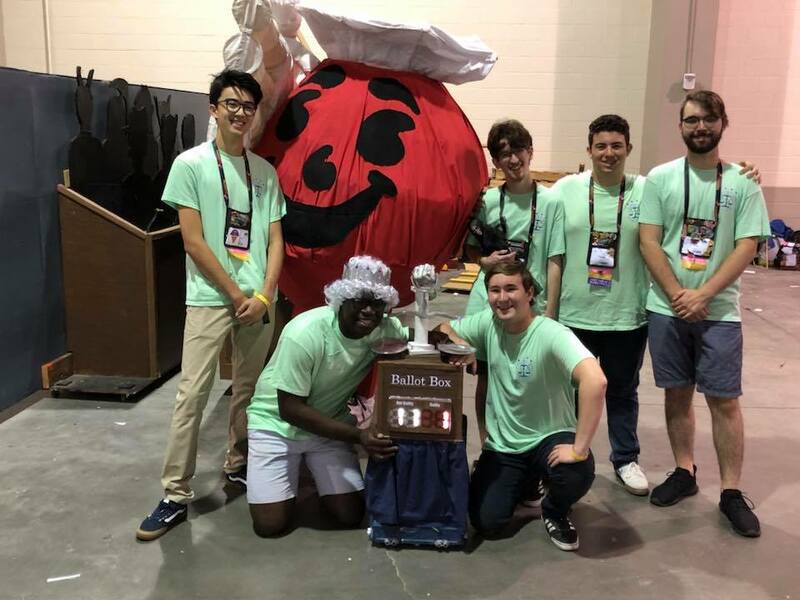 The team from Redlands, working this year under the name Capital Funishment, finished ninth in their Technical Challenge, presenting a fully autonomous vehicle that could navigate a randomly selected maze using sensors, coding and mathematics. For more information about Destination Imagination and what it does year-round to advance learning in the STEAM fields, visit http://www.destinationimagination.org. 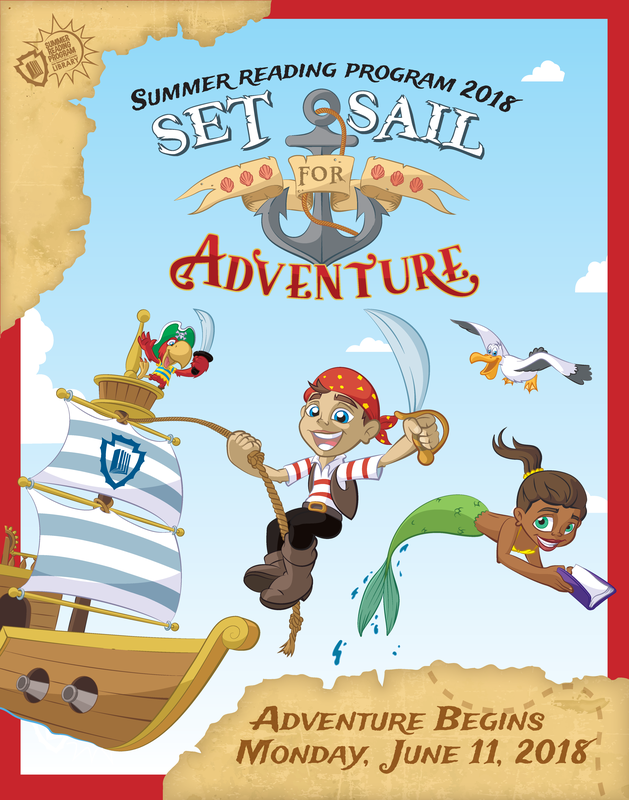 The San Bernardino County Library invites residents to Set Sail For Adventure and celebrate the summer season at the Library Summer Reading Program. Enjoy an amazing ocean-themed experience, meet some favorite characters, and earn some awesome prizes for meeting reading goals. 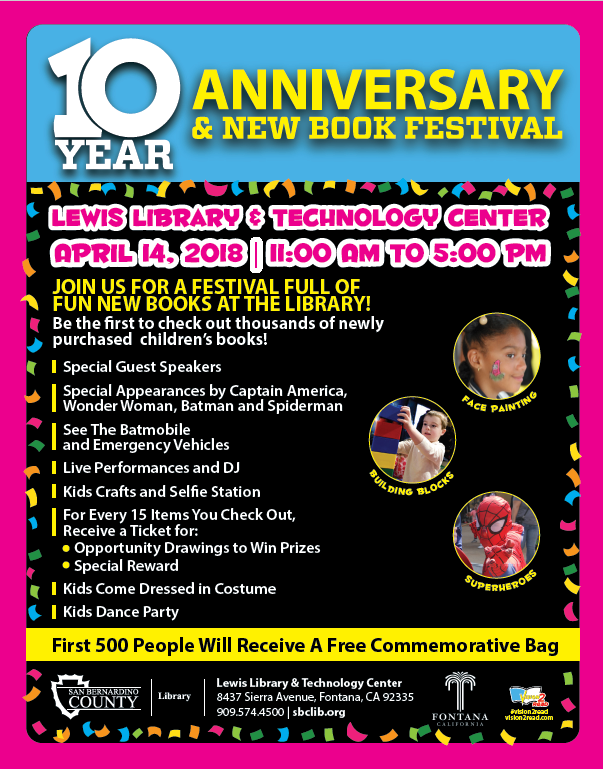 Enjoy a variety of fun-filled crafts, informative activities, performers and more. The Summer Reading Program is another opportunity to celebrate and support the Countywide Vision’s literacy campaign, Vision2Read. 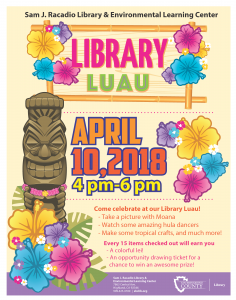 All activities are free and open to all ages. 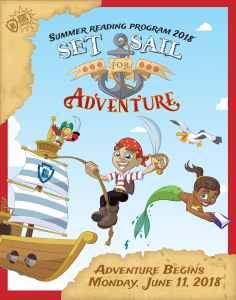 For more Summer Reading Program information, please visit sbclib.org or contact your local branch library. 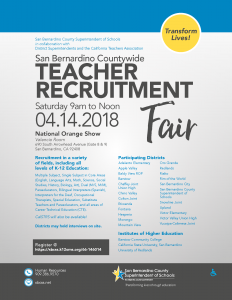 More than 25 school districts and institutes of higher education are scheduled to participate in the annual San Bernardino Countywide Teacher Recruitment Fair that will be held April 14 at the National Orange Show in San Bernardino. 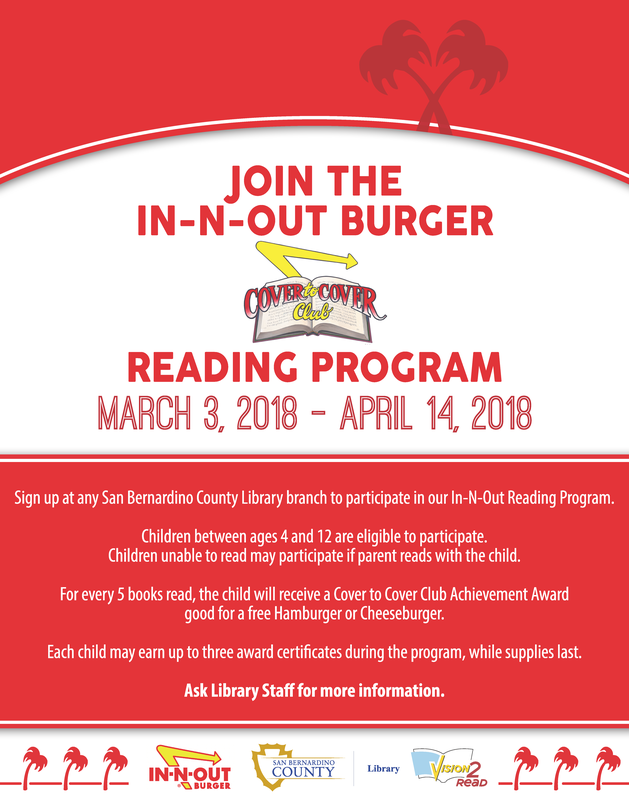 The event is a collaboration between the San Bernardino County Superintendent of Schools (SBCSS) and the California Teachers Association with 23 county school districts and a Regional Occupational Program participating. 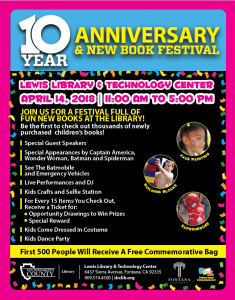 In addition, three local colleges and universities will have representatives at the event, which will be held in the Valencia Room at the National Orange Show (930 S. Arrowhead Ave. at Gates 8 and 9) between 9 a.m. and noon on April 14. Recruitment for applicant teachers is for all grade levels — as well as subject areas — of K-12 education, and districts may hold interviews on site. 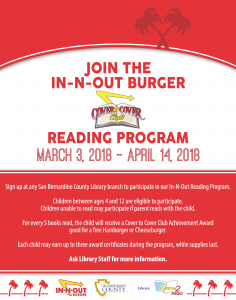 For applicants to register online for the event, go to: https://sbcss.k12oms.org/66-146014 . 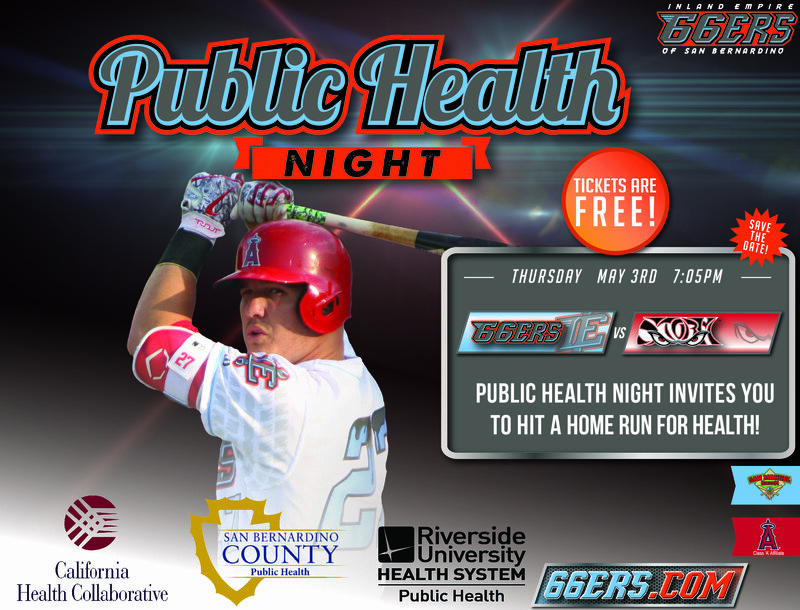 Among the districts and ROP scheduled to have representatives at the event include: Adelanto; Apple Valley; Baldy View ROP; Barstow; Chaffey; Chino Valley; Colton; Etiwanda; Fontana; Hesperia; Morongo; Mountain View;; Oro Grande; Redlands; Rialto; Rim of the World; San Bernardino City; SBCSS; Snowline; Upland; Victor Elementary; Victor Valley; and Yucaipa-Calimesa. Among higher education institutions participating, they are: Barstow Community College, Cal State San Bernardino and University of Redlands. 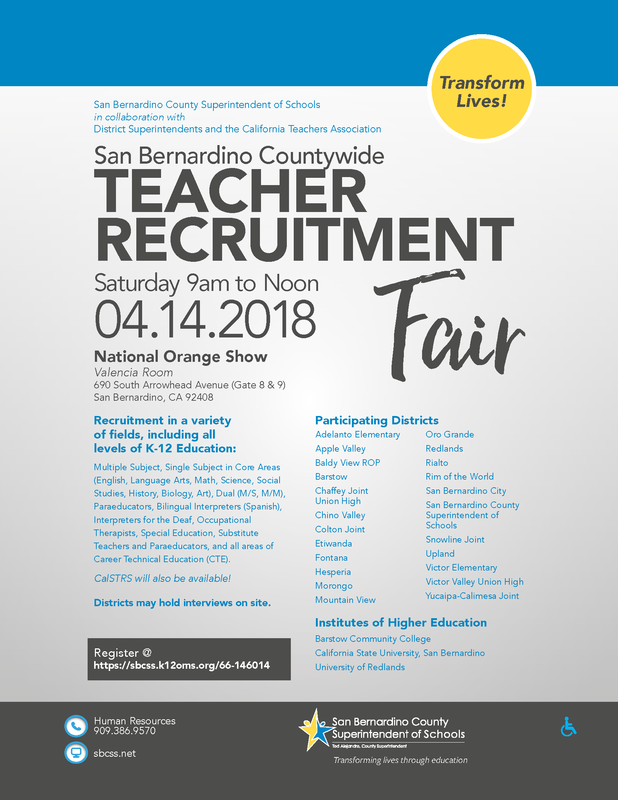 For more information about the Teacher Recruitment Fair, call 909.386.9570.